Wilderness Lodge Arthur's Pass is nestled in mountain beech forest, midway between Greymouth and Christchurch. Discover wild nature in our spectacular mountain setting and experience life on our 2,400 hectare nature reserve and high country merino sheep station. Walk from your room into a natural paradise of beech forest, tussock clearings, moss-lined streams and lakes. In the heart of Te Wahipounamu World Heritage Area... where the Tasman Sea meets ancient rainforest. Sits beside the Moeraki River, surrounded by towering rainforest near the pristine Tasman seacoast. From the comfort of this stylish nature lodge join naturalist guides to explore the lakes, rivers, forests and seacoast and discover special birds, seals and Fiordland Crested Penguins. The perfect place to relax and unwind and explore wild New Zealand on foot and by kayak. Enjoy stylish accommodation, gourmet food, fine wine & warm kiwi hospitality at New Zealand's foremost family owned and operated nature lodges. Two stunningly wild and scenic parts of the South Island; the untamed West Coast and wild heart of the Southern Alps. Lake Moeraki Lodge features rainforests, lakes, rivers and wild seacoast. 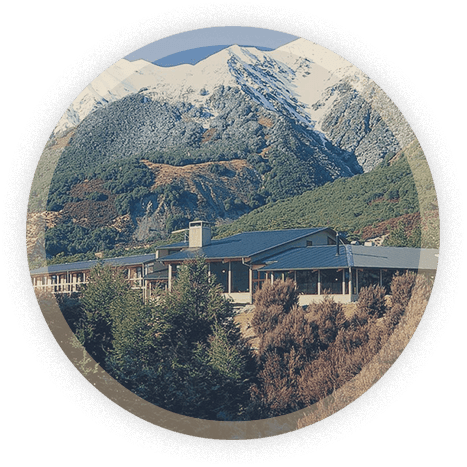 Arthur's Pass Lodge is on a 6000 acre nature reserve and sheep farm encircled by snow capped peaks and glacier-fed rivers. Guided nature adventures, penguins, seals, parrots and merino sheep farming and shearing. On your own or with our guides, adventure along seacoasts and through ancient rainforests. Traverse stunning mountain lands and kayak and fish in lakes and rivers. See penguins, seals, parrots and rare birdlife and experience merino sheep shearing, sheep dogs displays and our working high country farm.